During my short stay at EBI, Egon had kindly arranged an opportunity to talk to Janna from the Steinbeck group, about some interesting work she has done on searching for cage structures in molecules, using Prolog, so we met over a coffee, together with Nico who's now at the Steinbeck group (visiting). And we talked some about the original topic too :), that is the cage structure problem. The cage structure problem is kind of an extension to the problem of expressing rings, which has previously been reported as a problem for OWL-DL. 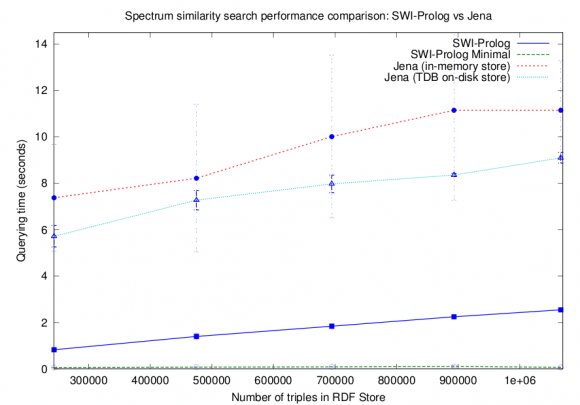 So because of this, it is interesting that Janna came up with a working solution, using Prolog. As a highlighting example from the DL-side, Michel Dumontier has done some work on representing molecules, including rings. But they also had to use rules, not plain OWL. So that seem to be the general conclusion: In order to express ring structures (or extensions of it, such as cage structures), you'll need to use rules in some way. Unfortunatly my project is now running out of time, so I might not have much time to look more into this topic as part of my project :(. Will see if I can include this as a part of another course I still have to finish ("knowledge based systems in bioinformatics"), but that remains to see. 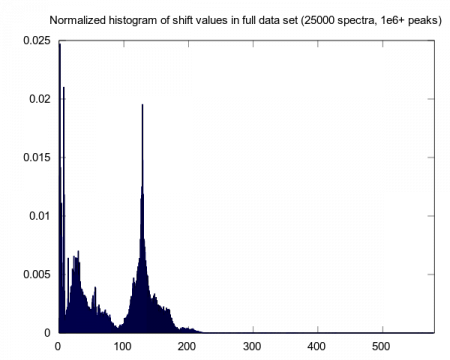 The problem I've had, to find a working SPARQL query for doing similarity search for spectra, according to a list of peak shift values (documented on this blog: post1, post 2 and on semanticoverflow) is now finally solved, thanks to helpful advice from Brandon Ibach on the [pellet-users] mailing list.